January is one of my favorite months of the year. It presents a fresh start, new goals, and a different energy. Despite the snow on the ground, this month has me thinking about organization, healthy meals, and making plans- whether it be for future travel adventures, life and business goals, or new opportunities. This month's inspiration board represents exactly that- a refreshing take on the Winter months. Dreary days energized with color and a zest for life. 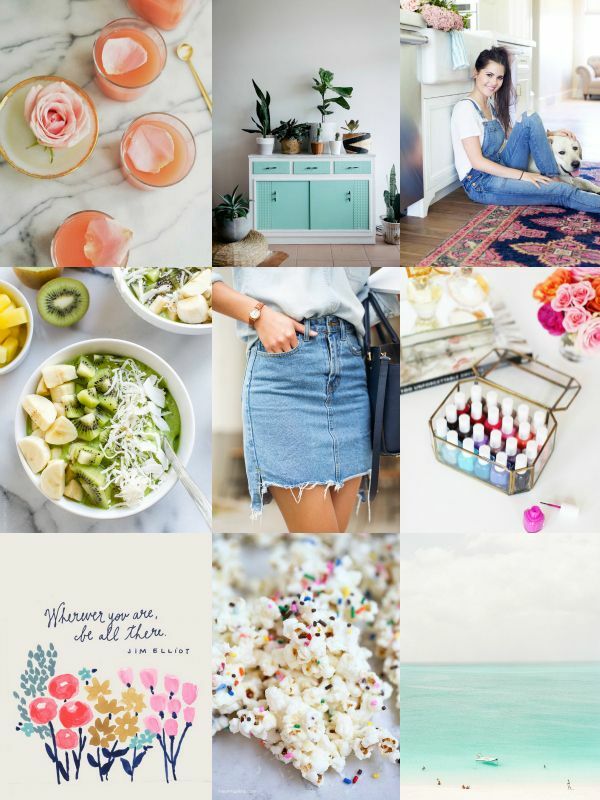 Be sure to follow me on Pinterest to see everything that's inspiring me lately! One last thing- be sure to checkout the podcast my fiance & I were featured on last week- Our First Drink! We had a great conversation about wedding planning, our goals to renovate his family farmhouse & what it's like dating a blogger! Love these bright images. Perfect for a dreary January.